With these ten personal cyber security tips, we are aiming to help our readers become more cyber aware. We developed these security tips from our experience managing millions of security events for businesses and professionals worldwide. Check out our blog on patch management best pratices! Anti-virus (AV) protection software has been the most prevalent solution to fight malicious attacks. AV software blocks malware and other malicious viruses from entering your device and compromising your data. 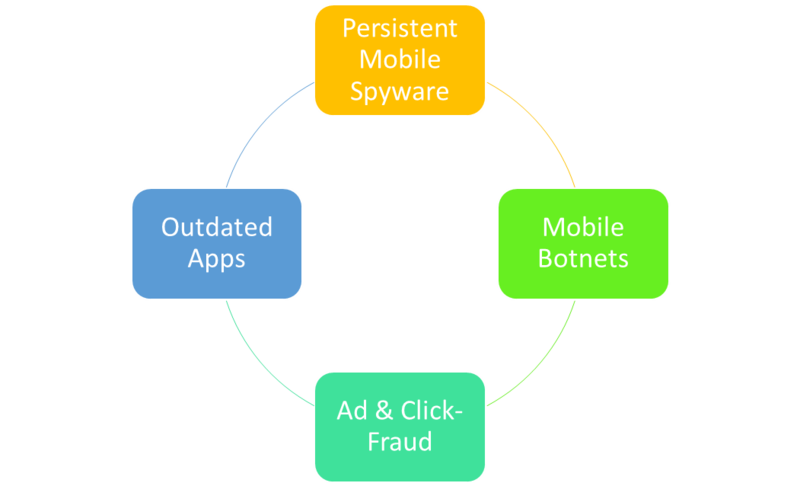 Use anti-virus software from trusted vendors and only run one AV tool on your device. Using a firewall is also important when defending your data against malicious attacks. A firewall helps screen out hackers, viruses, and other malicious activity that occurs over the Internet and determines what traffic is allowed to enter your device. Windows and Mac OS X comes with their respective firewalls, aptly named Windows Firewall and Mac Firewall. Your router should also have a firewall built in to prevent attacks on your network. Dropping the crazy, complex mixture of upper case letters, symbols, and numbers. Instead, opt for something more user-friendly but with at least eight characters and a maximum length of 64 characters. Don’t use the same password twice. The password should contain at least one lowercase letter, one uppercase letter, one number, and four symbols but not the following &%#@_.
Reset your password when you forget it. But, change it once per year as a general refresh. If you want to make it easier to manage your passwords, try using a password management tool or password account vault. LastPass FREE is a great tool for an individual. LastPass offers a FREE account and has a $2/month membership with some great advanced password features. Two-factor or multi-factor authentication is a service that adds additional layers of security to the standard password method of online identification. Without two-factor authentication, you would normally enter a username and password. But, with two-factor, you would be prompted to enter one additional authentication method such as a Personal Identification Code, another password or even fingerprint. With multi-factor authentication, you would be prompted to enter more than two additional authentication methods after entering your username and password. According to NIST, an SMS delivery should not be used during two-factor authentication because malware can be used to attack mobile phone networks and can compromise data during the process. We recently blogged that phishing scams are nastier than ever this year. In a phishing scheme attempt, the attacker poses as someone or something the sender is not to trick the recipient into divulging credentials, clicking a malicious link, or opening an attachment that infects the user’s system with malware, trojan, or zero-day vulnerability exploit. This often leads to a ransomware attack. 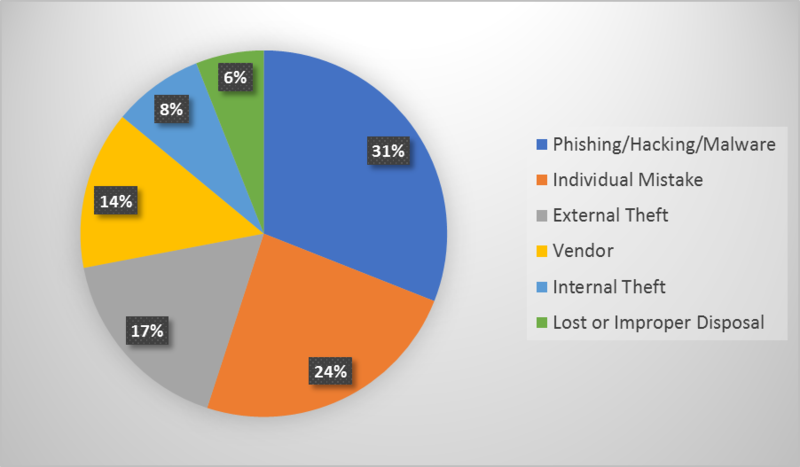 In fact, 90% of ransomware attacks originate from phishing attempts. Malicious links can come from friends who have been infected too. So, be extra careful! Personal Identifiable Information (PII) is any information that can be used by a cybercriminal to identify or locate an individual. PII includes information such as name, address, phone numbers, data of birth, Social Security Number, IP address, location details, or any other physical or digital identity data. In the new “always-on” world of social media, you should be very cautious about the information you include online. It is recommended that you only show the very minimum about yourself on social media. 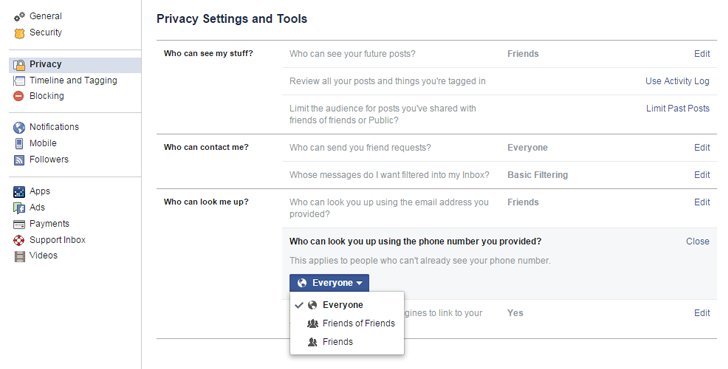 Consider reviewing your privacy settings across all your social media accounts, particularly Facebook. Adding your home address, birthdate, or any other PII information will dramatically increase your risk of a security breach. Hackers use this information to their advantage! Backing up your data regularly is an overlooked step in personal online security. The top IT and security managers follow a simple rule called the 3-2-1 backup rule. Essentially, you will keep three copies of your data on two different types of media (local and external hard drive) and one copy in an off-site location (cloud storage). If you become a victim of ransomware or malware, the only way to restore your data is to erase your systems and restore with a recently performed backup. Don’t use a public Wi-Fi without using a Virtual Private Network (VPN). By using a VPN, the traffic between your device and the VPN server is encrypted. This means it’s much more difficult for a cybercriminal to obtain access to your data on your device. Use your cell network if you don’t have a VPN when security is important. With the recent Equifax breach, it’s more important than ever for consumers to safeguard their online accounts and monitor their credit reports. A credit freeze is the most effective way for you to protect your personal credit information from cyber criminals right now. Essentially, it allows you to lock your credit and use a personal identification number (PIN) that only you will know. You can then use this PIN when you need to apply for credit. Hacking, phishing, and malware incidents are becoming the number one cause of security breaches today. But, what’s more troubling, these hacking attempts are the result of human errors in some way. Education and awareness are critically important in the fight against cybercriminal activity and preventing security breaches. We hope you found these personal cyber security tips and the knowledge of how personal security breaches occur to be helpful in mitigating your risk from a security incident. Let us know if you have security tips in the comments below! Learn more about CIPHER's security consulting here. Did you enjoy this blog article? Share it with your peers or comment below.